Howard Beverly was born on 6 December 1946, in Philadelphia, Pennsylvania USA, and is a musician, singer, songwriter and producer probably best known for recording and working with the band Maze. He’s also known to have worked with other artists, and all his endeavors have helped put his net worth to where it is today. 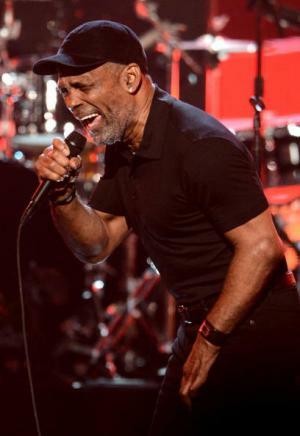 How rich is Frankie Beverly? As of mid-2016, sources inform us of a net worth that is at $4 million, mostly earned through a successful career in the music industry. Aside from making recordings, he has travelled around the country performing with Maze and other acts, and is known for his stage presence and style, with his current wealth a testament to his success. Frankie started his interest in music with the help of his local church. He mostly sang gospel music, and after singing in the church for a while he would become familiar with secular music. He became interested in certain artists who blended gospel into their own music. According to him, he changed his name to Frankie because of admiration for the group Frankie Lymon and The Teenagers. When he was 12 years old, he was known to have toured with The Silhouettes, though no mention of him was ever given by the band when they were live. Later on, he would form his own a cappella band called The Blenders; the group was inspired by acts such as The Del Vikings and The Dells. These were a modest start to his net worth. Eventually, the band would separate and he would go on to his next opportunity with The Butlers. This group had their first break with a recording in 1963, and they were eventually noticed by Kenny Gamble who helped release their album. Unfortunately, the group was not popular in Philadelphia, and after touring a little they decided to move to California. They changed their genre and were noticed by Marvin Gaye, who convinced them to change their name to Maze. They toured as the opening act for Gaye for a while, and started to gain a significant amount of popularity. They released eight studio albums during the course of their run, all of which achieved gold in the United States. Many of their songs also reached the Top 10 of the R&B charts, and albums such as “Can’t Stop the Love” and “Silky Soul” became chart-topping albums; a few of their popular songs include “Can’t Get Over You” and “Back in Stride”. They also found success overseas, especially in the UK during the 1970s and 80s, performing there as well as broadcasting with Capital Radio, having a few hit singles on the country’s charts. For his personal life, details are largely private, but it is known that Beverly has a son who has toured with Maze as a drummer. His son recently released a tribute for the band and his father, founding his own record label. Frankie has been well known for his onstage look which was often all-white casual clothing with a baseball hat. According to him, he never really expected the success they received. He now resides in the San Francisco Bay Area. Albums “Can’t Stop the Love”, “Silky Soul”," Back to Basics", "Golden Time of Day Inspiration Joy", "Pain We Are One", "Back to Basics"
Keanu 2016 performer: "California" / writer: "California"
Meet the Browns 2008 performer: "Before I Let Go" / writer: "Before I Let Go"
Welcome Home, Roscoe Jenkins 2008 performer: "Before I Let Go" / writer: "Before I Let Go"
ATL 2006 performer: "Southern Girl" / writer: "Southern Girl", "Before I Let Go"
Get Rich or Die Tryin' 2005 "Hustler's Ambition" / performer: "Hustler's Ambition"
Grand Theft Auto: San Andreas 2004 Video Game writer: "Twilight"
Johnson Family Vacation 2004 performer: "Before I Let You Go" / writer: "Before I Let You Go"
Bringing Down the House 2003 performer: "Let Go" / writer: "Let Go"
Cherish 2002 writer: "When I'm Alone"
What's the Worst That Could Happen? 2001 writer: "Happy Feelin's"
How Stella Got Her Groove Back 1998 performer: "Golden Time Of Day" / writer: "Golden Time Of Day"
Ride 1998 as F. Beverly, "Feel So Good"
The Hitter 1979 performer: "Golden Time of Day", "I Wish You Well"